Many of us students dream going overseas to further our studies, visit countries we adore and even explore new adventures. Inadequate funds push most away from these dreams but in real sense, there is a pretty clear way through this obstacle. What do you want to pursue and in which country? Identify something you’re passionate about and the country you have interest in. Let it be within the circles of your mind’s comfort; that which you don’t struggle to see yourself in. Learn about the qualifications which you’ll require in order to pursue the course wherever you want to. Compare your current qualifications with those they need so as to gauge your chances at the moment. Depending on what you want to apply for, work smart so as to enhance your qualifications especially when it means getting more papers. There is such a vast range of scholarship opportunities available on the internet. Look for those that fit you and identify them. Be on the lookout on your school noticeboards and embassy announcements in newspapers as well. You have to create time to cook your dream. Let’s say two hours of research and application work daily. Be natural and real. 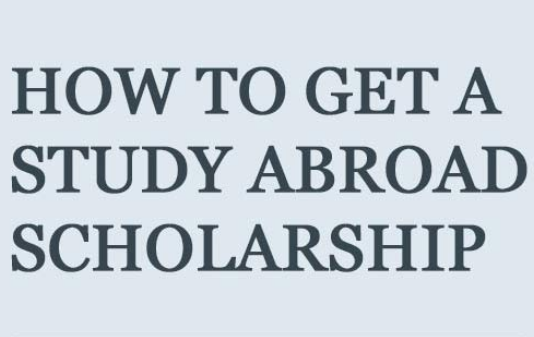 If you really want to get the scholarship, this is your only unique thing. It will clearly bring out who you are and what you need hence enhancing your chances of being awarded the scholarship. When seeking recommendations from your tutors, explain to them your abilities and the qualities required in order to win the scholarship. It will help to write the most relevant recommendations. Depending on your interests, you can also consider those opportunities that are often neglected. For example, to countries where English is not the official language. Visualize yourself in the foreign country you admire, the beauty, technology, decency, outstanding nature, name them. You now have the key to unlock that dream. Do this!